8:00am - We are packing up gear this morning to return to the Little Manatee River. 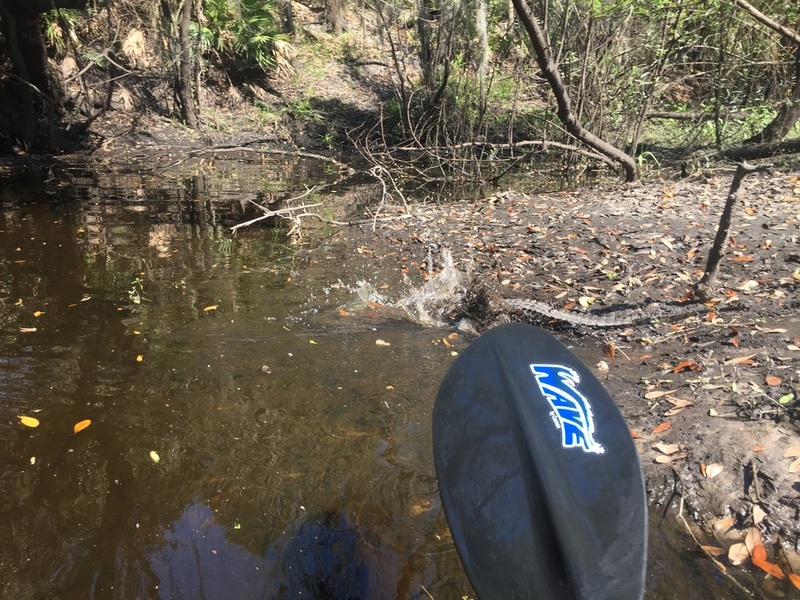 Our survey on Tuesday did not turn up any Suwannee cooters even though we have reliable evidence that they are there. We will be putting in kayaks upstream and paddling down river for about 6.5 miles. It is another clear and sunny day so the outlook for seeing turtles is excellent. 10:30am - We are putting on the river now. The weather is perfect so we should certainly see turtles basking. Our fingers are crossed that we spot Suwannee cooters in the next 6.5 miles! Little Manatee River from the Canoe Outpost. Same juvenile launching into the river. 12:15pm - Stopped for lunch along the river. We have seen nine peninsula cooters so far including one that looks like it could be an intergrade with the Suwannee cooter. 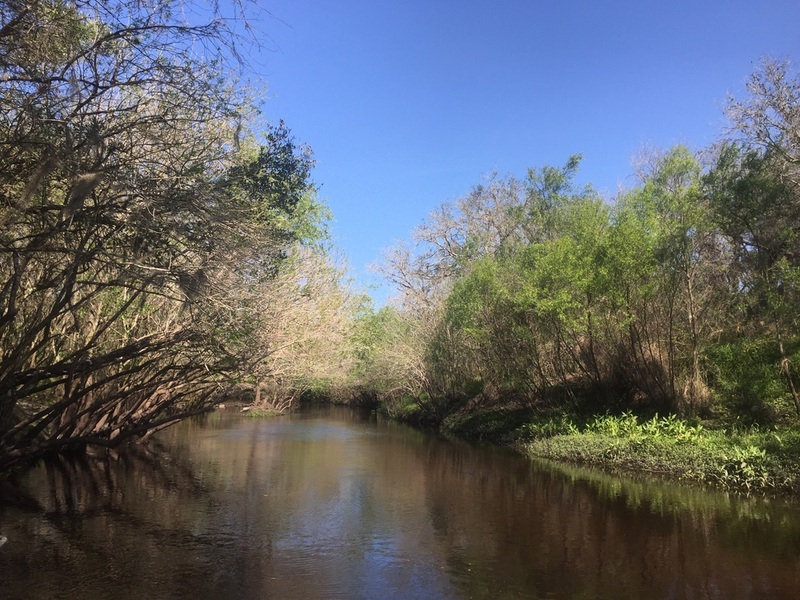 Such a beautiful blackwater river. 1:50pm - Quite a few turtles basking now including a juvenile redbelly cooter with kyphosis. This is a developmental anomaly which causes the animal to be humpbacked. 2:10pm - We have hit an area of river with a plethora of basking logs and turtles. We have observed about 27 turtles, mostly peninsula cooters and a handful of redbelly cooters. I just spotted what I am 90% sure was a Suwannee cooter. However before we could get a really good view or photos a couple in an aluminum canoe can around the corner an scared them into the water. We are now holding steady about 75' from where it was basking in hopes that it will come back on the log. 3:45pm - We arrived at the take out spot after not having a verified sighting of a Suwannee cooter. This is the second day on this River without sucess. George will kayak the river two or three more times at later dates with some volunteers. We did see about 74 peninsula cooters and around 10 redbelly cooters today. Peninsula cooter, some specimens were quite bold and allowed us to approach closely. George attempting to photograph a red belly cooter. The river had many snags that were just right for basking turtles. The river was quite shallow in spots. Snags such as this can provide great shelter for young turtles.